In college, Maggie Leung had a job that was truly a nightmare. Little did she know she was developing a muscle that would go on to be a key professional asset, first as a news editor and now as VP of Content at Nerdwallet. Today, she manages about 100 writers and editors located across the country. In each of these roles, she’s leveraged her ability to suss out what people around her need to succeed and how every manner of work situation can be constructively resolved. Today, Leung calls this skill “dynamic empathy” — quickly gaining an understanding of how a colleague feels and figuring out how to act on it in a swiftly changing environment. It’s not innate and can be learned. 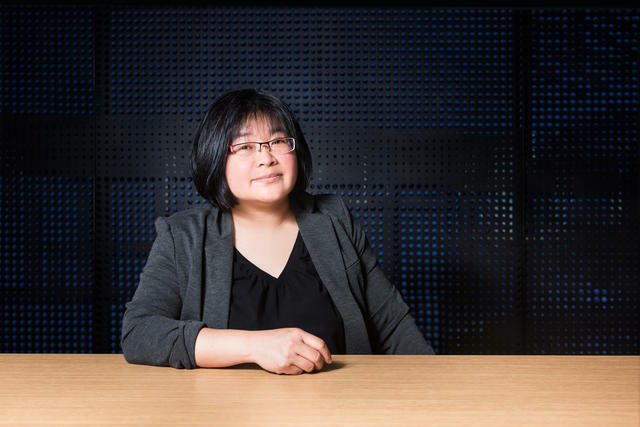 While learning it herself, Leung crafted lists of questions that would prime her to handle the most difficult scenarios that arise in the workplace. Each set of questions is designed to detangle thorny interactions, get to the core of the matter, and achieve mutual understanding. We’re sharing Leung's 13 lists here. They’re especially useful for managing people or working to get things done across teams. They’re also relevant when dealing with difficult personalities or situations beyond work. Read on to learn how to deploy dynamic empathy and speed problem-solving with shared purpose and motivation. As with any other learned skill, you can make considering other people’s motivations an automatic habit if you do it enough. This can help equalize power dynamics and create a competitive advantage throughout a career. Leung devised sets of questions for each thorny work scenario she could think of as a place to start that would ensure compassion, understanding and a constructive approach from the beginning. “When I understand and can articulate what someone needs from me, that makes it easier to say, ‘Makes sense. This is what I need from you.’ Then it’s a fair exchange rather than ‘I’m just demanding things from you,’” Leung says. For the most part, asking the sets of questions below is an internal exercise — something you do with yourself to engineer successful conversations before they even happen. They are designed to help you tease apart complex scenarios that might be influenced by high emotions so you can see clearly, identify arguments or suggestions that are more likely to resonate with the other people involved, and establish multiple paths for success. When asked in sequence and truly considered, these questions help you see further down the road so you can avoid obstacles. The goal is not to make a bunch of assumptions about what people want or what’s going to happen, but rather to think through the many possibilities so that you can remain flexible and nimble while still feeling prepared. At other times, it might be appropriate to ask these questions directly to others. You can decide what will work best based on the personalities involved. Always, though, your goal should be finding common ground. Regardless, it’s also helpful to jot down or take quick notes on your answers to these questions in advance. That helps you externalize your feelings about the situation, see things more concretely, and remember the points you want to make in an eventual conversation. There are no right or wrong answers to Leung’s questions. It’s the exercise of thinking through them that provides the value. That way, you’re always able to anticipate and work with another person's response — no matter what it might be. Don’t be deterred even if you encounter resistance. Keep working the questions and modeling the candor you want to see. “If you keep putting yourself out there, you’ll get results,” says Leung. Dynamic empathy isn’t just about understanding what’s going on with someone else, but actually doing or saying something about it. It helps you move forward. Does the person you're managing feel invested in your company or team goals? Why should he/she be? Have you clearly explained the vision or goals, and his/her part in achieving them? Does he/she feel as if you've got his/her back? Do you know what motivates him/her? In every relationship, both parties must get something out of it. What are you offering vs. what you're expecting? Is what you're offering good enough, or can your employee do better elsewhere? Does your direct report understand what he/she is supposed to do? How to do it? Does he/she have the right training, right scope, right authority, right resources and enough time to do as you need? Does he/she know how important your ask is? What does he/she need from you or other colleagues? Is he/she encountering bottlenecks? Are those localized or systemic? If they’re systemic, do you need to address this bigger picture? Dynamic empathy isn’t just for managers. Anyone, at any career stage, should understand their bosses’ motivation as well. Understanding what that is — and how your work can help or hurt — is the secret to mutual success. What would your boss ideally want from you (and your team, if you’re a manager)? How will you build trust and confidence? How will he/she stayed informed about what's relevant and important? How will he/she avoid being surprised by what you do, how you do it, etc., in a way that puts him/her in a bad position? How will he/she know that you're running into problems or anticipate them? How will he/she know how to help you? What are you asking of your boss? Is he/she committed to delivering it? Cross-functional work is where startups get a lot of leverage — but it’s also when competing priorities are likeliest to crop up. “If someone from another team makes a request from yours, you need to be clear about what you can reasonably do,” says Leung. “And if you say no, you want them to understand why.” Collegiality matters, of course. But more importantly, it’s vital for team leaders to coach each other on their respective priorities and pressures. That’s so each side can better frame future asks, with the best chance of success. How well do you know their needs and challenges? Do you know how they prioritize? Is your prioritization reasonable considering theirs? If you prioritize something higher, why would they buy-in? Are you able to make a good case? Which elements of your plan are most likely to turn them off or produce the most friction? How will you address that? How dependent is a cross-team partner's success on you or your team delivering? Can your cross-team partner trust you to come through? Why or why not? Does this relationship need improvement? How do you think your cross-team partner sees you — as a good partner or someone who's not reliable and who puts their team's goals at risk? Is that partner's priorities something you should be supporting? Are the asks reasonable from both perspectives? If you say "no," is the reason clear and does your decision feel reasonable to the requester, even if they disagree? If your logic isn’t explained, why should your partner trust your decision-making? At NerdWallet, shared processes include onboarding and training, the production and distribution of content and tools, prioritization of work and requests for resources. Why would they buy in? Are you able to make that clear? Where is the greatest burden falling? If it’s on their team, are they properly motivated? How will you spread word and document your processes? Who’s responsible for doing that and keeping guidance updated? Who decides when changes are needed? When you’re training team members on new skills or process — or working to get an underperformer up to speed — start by considering where they are in their professional development. How well do I understand what he/she is trying to learn and why? Is the learner self-aware about his/her strengths, weaknesses and learning style? What is the learner willing to do differently, or more or less of, in pursuit of these goals? How will we know if the learner is making progress? If we don’t see progress, what can I do differently as a coach? Do I have a cut-off point for coaching? Does the person I’m coaching know this? What are the consequences? Workplace negotiations should not be a zero-sum game. “Both sides get what they want in a great negotiation. Second-best is getting as close to that as reasonable,” says Leung. So whether you’re negotiating compensation, divvying up duties on a big project, or angling to fast-track a request in engineering’s queue, your best shot at getting what you want is generating dynamic empathy on your side of the fence. What does the other party want to get out of these negotiations? What is he/she likely to be willing to offer? What are his/her likely deal-breakers? How does he/she prioritize that's up for negotiation? Does what I'm negotiating for exist in isolation, or would it potentially create a precedent that he/she would hesitate to produce? Of course, it’s not always possible to give everyone what they want, and compromise is the grease of most workplaces. To achieve it, though, each side still needs to understand what the other wants. It’s the mediator’s role to surface those desires. What is each party asking for? Why is it important to him/her? What part is negotiable? What are deal-breakers? Is what's being negotiated actually important, or does it symbolize something else or is it a part of something larger? Are we trying to solve a one-off issue, or is there history or context that will complicate things? It’s important to know this early, or you can waste a lot of time not addressing what actually matters. That will hurt your odds of success. There’s mediating and then there’s mediating. When you’re not merely negotiating a compromise, but actually trying to resolve conflict, greater discretion is required. “If the problem is big, I meet with one party at a time to start, to understand what’s going on,” says Leung. But the goal is the same: to surface each party’s needs and get buy-in that, yes, they do need to deal with each other. Do all parties agree that they need to work well with each other, and that it will benefit the company or their own work? What’s the cost to the company if they don’t resolve their problem? What does each side have at stake? What does each party ideally want? What are the key sticking points? Is this really the issue, or are there bigger issues or more context? Ask each side to step into the other’s shoes and imagine their perspective, complaints or arguments. Ask them what someone who’s solving for the company would expect from each side. If we prioritize, what must get done vs. what can we give up? Are managers realistic about the tradeoffs? How can the employee help, given what we face? What does he/she reasonably need or want to get out of this job? You should tout your startup’s strengths, like your innovative product or booming numbers. But don’t focus on your strategic vision at the expense of the prospect’s goals. Learn what you can offer each candidate — given their career stage, long-term plans, or outside commitments — and tailor your pitch. Here's what to ask before a conversation with a candidate that you're excited about. Do you have a good sense of what they want or what motivates them? If not, how are you going to find out? Do you know why they’re interested in your company or why they joined? How much visibility do you have on your ability to meet those needs? Do you know how their roles might evolve? What are their deal-breakers or must-haves? Do they have the temperament that a startup needs, such as high comfort with change and roles that might quickly evolve? If so, what are you basing that on? Will they take initiative and ownership? What do you base that impression on? Or will they require lots of certainty and guidance (and can you offer those)? Are existing employees getting what they signed up for? If not, is what the company is offering worth staying for? What opportunities do you see to leverage their strengths? What would they ideally like to do and does the company need that role? How will you develop them? How much are you willing to invest in them? If you aren’t willing to do that, are you prepared to deal with attrition? Are they still at your company out of choice, or is it because they have nowhere better to go? If the latter, what will you do to bring out the best in them? How can you re-engage them? Do they know that they’re slipping and it’s showing? If they’ve become disengaged, why do you think that’s happened? Can you or they change that? Given such variability, you need to know what on this list above is important to incoming candidates so you can make an offer with the benefits and opportunities that they want and that you can realistically offer. Did you give him/her the right expectations, context, tools and other resources to set him/her up for success? What could you have done differently as a manager? What could other coworkers have done differently? How can we avoid this happening in the future? Could we have spotted this earlier? Did we make false assumptions or read signals incorrectly when we made the hire? Did we put someone in the wrong role? How do you think we ended up here? Did we miss signs of trouble? How could we have caught this sooner? Who are we producing this for? What information or angle is most relevant to them? What key questions will they want answered? How will our content best meet their needs? In what format, in what voice and tone, and so on? If we can leave a brand impression with our content, what would we expect it to be? Is that likely considering the kind of content we produce? What kind of experience are we producing? Is our content compelling or useful? Is it easily digestible and robust? It is a drag to get through? Too complicated or dull? Would someone consume our content and potentially share it? Could they easily describe the takeaways we want? Is there anything in our piece that will frustrate or annoy them? What gaps or other issues have we left? What can we do about that? Some of your most active workplace relationships will be with nameless, faceless people: your users. If you can’t engage with them directly (and in many cases, you can and should), there is no doubt endless data to be mined. Dig in, and remember that those numbers represent living, breathing people. If you let it, data can tell a rich and actionable story about your users’ reasons for picking up your product — or putting it down. Who are your users? How do they live and behave? How clear is the pain point you’re trying to address? How clear is your value proposition? What differentiates your product from competitors'? What are you basing your answers on? Are those signals clearly coming from users? How can you separate out the noise? Will they actually value what you're offering in the way you think they will? Why wouldn't they? How can you tell? If you’re trying to change behavior, does your product signal that in ways that are easy for a user to understand? Or are your asks muddled or scattered? How will you measure success? Which elements of your plan or your product are most likely to turn them off or produce the most friction? How will your potential users hear about your product? What are you willing to invest to make that happen? How will you measure success? It’s nice to have lists to set yourself up for success. But realistically, people don’t always honestly reveal their feelings and motivations easily or right away. Part of the skill of deploying these questions, then, is understanding how to read signals in the moment and keep pushing your conversations to a place of candor. When you start rolling out these questions in a one-on-one, for example, be open about it. “I say to people, ‘Hey, there's this thing I want to try and these are the reasons why I want to try it. I want to see if you think there’s value in doing this.’” And if you sense that someone is hesitant to open up about concerns or challenges, address the elephant in the room. “Say explicitly, ‘Hey, you can talk to me about this and it's not going to impact your performance.’” As people see that you’re employing this tactic to build better relationships, that can engender trust. You want to get to the heart of things as quickly as reasonable. Leung’s one-on-ones usually take 30 minutes. If you ask the right kind of questions, you can get past small talk more quickly. To that end, your questions should be specific but open-ended. Don’t speak in high level terms — use examples they can relate to and have probably recognized in you already. Leung’s particular challenge at the moment is pausing in her fast-paced days to ensure that she’s fully hearing people. It’s not like her team doesn’t know that — they’re the ones having conversations with her. So she brings it up. “I’ll say, ‘Hey, sometimes I jump ahead and anticipate your answer. That's not a good thing. Clearly you want me to hear you out.’ I acknowledge it.” That’s human, yes, but it’s also empowering. Acknowledge something you're working on and take ownership. “It's helpful for managers, or any leaders, to be open about the things that they're struggling with and need help with," she says. As managers, our team grades us all the time, whether we realize it or not. Ideally, we want to know how we’re doing and what we can get better at. Understanding where the person sitting across from you is coming from is only part of this process — they also need to know that you understand. Accomplishing that can be as simple as confirming what you’ve heard. Finally, remember that this is not “one and done” — it’s a mindset, a new way to manage and to co-work. Even when you’ve reached an understanding with someone, keep applying these questions. After all, lives change — people change — and with them, the very motivations you’re trying to understand.